Episode 94: Pile it on!! A Huge Eating Battle – February 17, 2019 – Chouji and Chou Chou participate in a huge eating competition as a family! There’s a special event for Family Day: A huge eating competition! Chouji and Chou Chou participate in it as a family! However, the sponsors of the contest have a certain trick prepared for them!? Chouji will show off a manly eating style!? On the very day of the competition, Chouji has made his wife, Karui, angry! After getting some advice from Chou Chou, he’s very eager to try and show off a gallant appearance. However, it’s not well received by Karui!? Episode 95: Daughter and Icha-Icha Epic Battle – February 24, 2019 – The village is bustling with people because of the Family Day events. Sasuke encounters Boruto, who’s been strolling along. When he hears about the new Family Day holiday from Boruto, he reminisces about his childhood. Sasuke then sets off to spend it together with Sarada. Even though Sasuke is trying to make his daughter happy, Sarada just feels embarrassed about him. 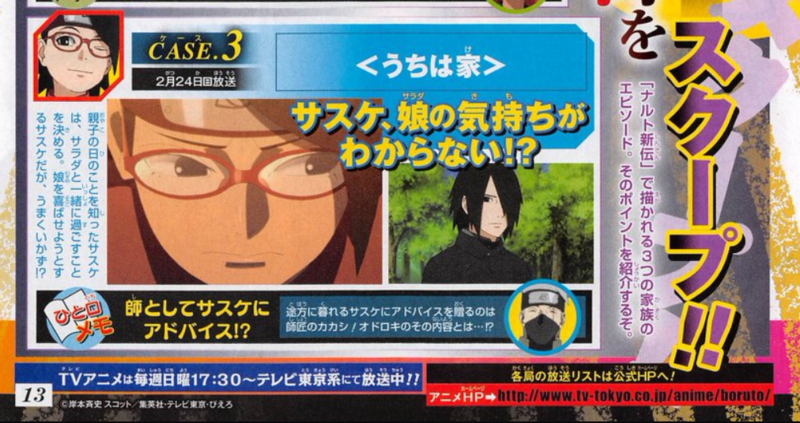 Meanwhile, someone appears in front of Sasuke to suggest some help: It’s his former teacher, Kakashi! 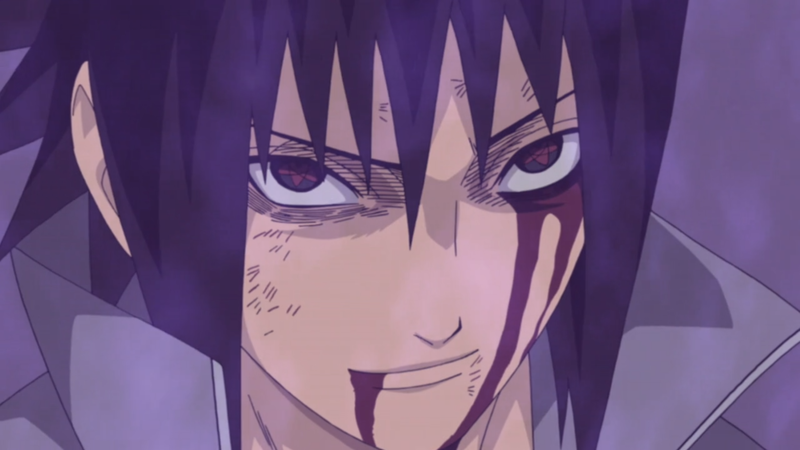 What astonishing details will Kakashi give to Sasuke!? I think this episode is going to pretty funny and also fulfilling as we will have a whole episode dedicated to Sasuke and Sarada! Boruto Creator Reveals When Boruto Will End In A Special Interview!